I would wear out my keyboard typing up the reasons I’m thankful for the internet, but everything else would come below the words “hair loss research”. Having access to such a vast pool of knowledge is truly priceless. It can be the path to prevention of further loss, the compass pointing you to the best physicians and the big, red “caution” sign to help you avoid mistakes. 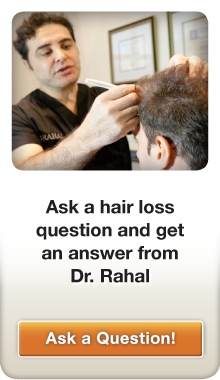 Whether you want to learn about the different treatments for hair loss, discover how to conceal it, or select a hair restoration surgeon – this place should feature in your bookmarks. The forum thrives due to its friendly, knowledgeable members and high concentration of hair loss veterans. Spend enough time there and you’ll follow members through all the stages of their research: from initial questions; narrowing down a shortlist of doctors; the final decision and then watch as they update their progress right through to the final result. As far as education goes, you can’t beat that! 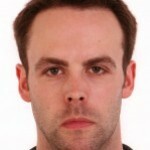 This website is similar to Hair Restoration Network and shares most of the benefits. What distinguishes it is its connection to Spencer Kobren, patient advocate, author and radio host, whose show, The Bald Truth, is nationally syndicated. Naturally, Spencer’s forum has a highly knowledgeable member base, so jump in and bathe in the wisdom. It’ll help you avoid the sharks! The radio show airs every Tuesday at 8pm EST. Listeners outside of the US can listen online. A quality resource and the first forum I ever joined, what makes this place stand out is the highly experimental (daring?) members. These guys test out every pioneering new hair loss treatment, so if you want to discover what ‘ASC-J9’, ‘TRX2’ or ‘RU58841’ are then this is the place for you. Call me timid, but personally I’d wait for clinical approval. Helpfully, the hair transplant section is divided up into categories for FUT, FUE, repair, etc. 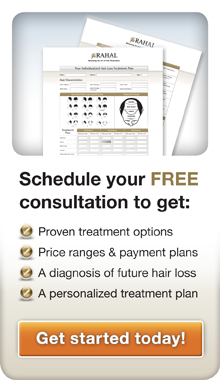 A solid website with many articles on treatments, hair systems and hair transplants. The forum is busy and within it you’ll find many insights not available elsewhere. Consulting a diverse range of sources will help round out your knowledge and complete your understanding of the subject of hair loss prevention and hair restoration. 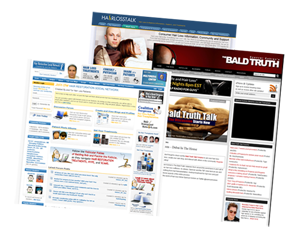 Another site with a strong social networking element to it, the forum is split into very detailed categories including a large section for women’s hair loss issues. For those unlucky enough to experience side effects, there is an entire sub-forum devoted to tackling the problem. The site is quite unique in that it’s completely free of advertisements. As I mentioned earlier, it can be very beneficial to cast the net wide and find facts and opinions from a range of sources. Be prepared to put in time; but to make things easier here is a custom Google search which will sift through all of the sites to find you what you’re looking for.